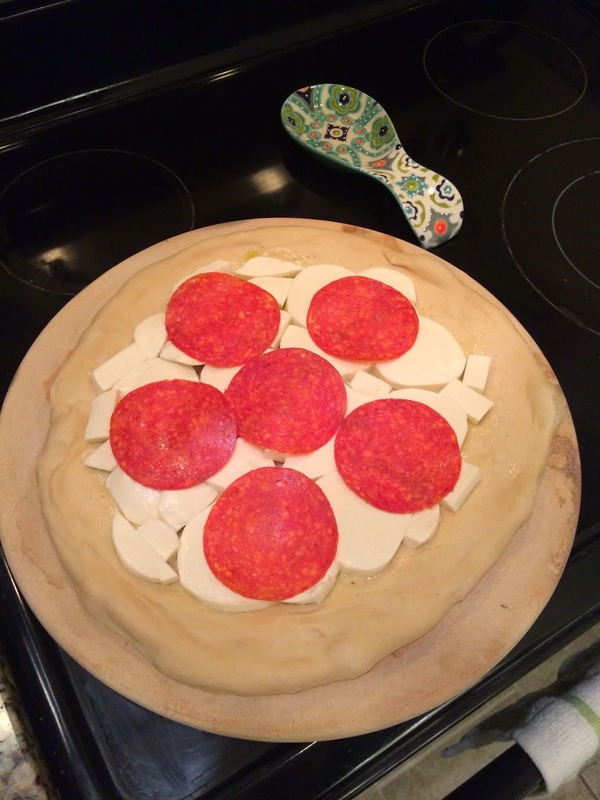 It has been awhile since we have made pizza. 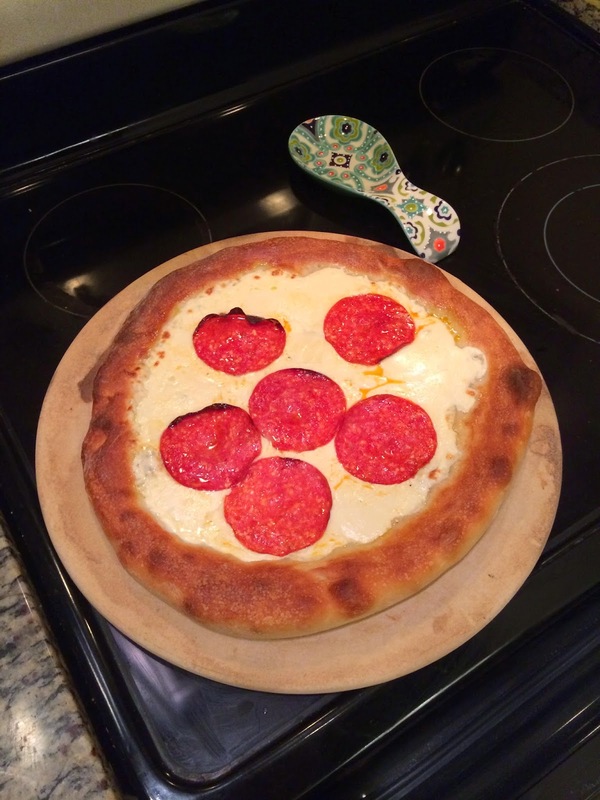 After debating which toppings we wanted, we ended up deciding on a classic pepperoni pizza… and it was delicious! 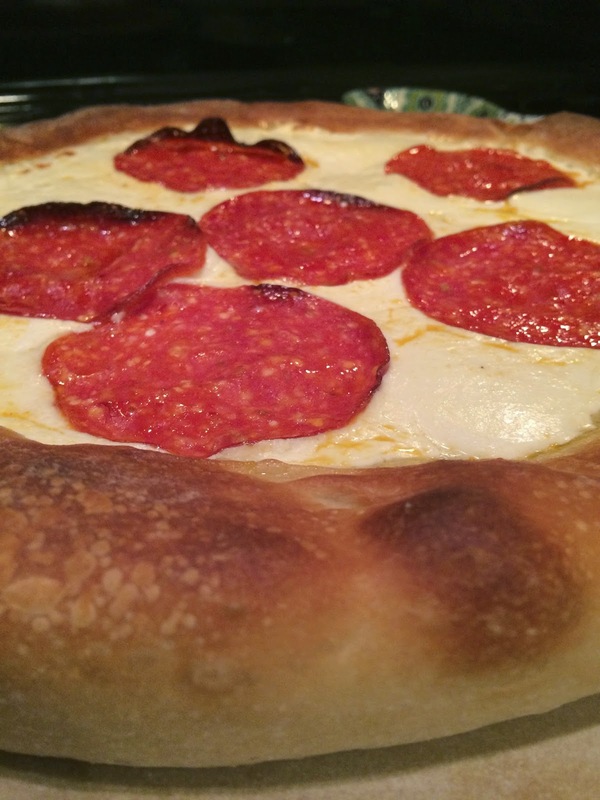 My rule of thumb is fresh really is best- from the dough to the meats, cheeses and toppings. You'll never go back to packaged products! Carefully place sauce on pizza- it will be hot! Add sauce, pepperonis and mozzarella. 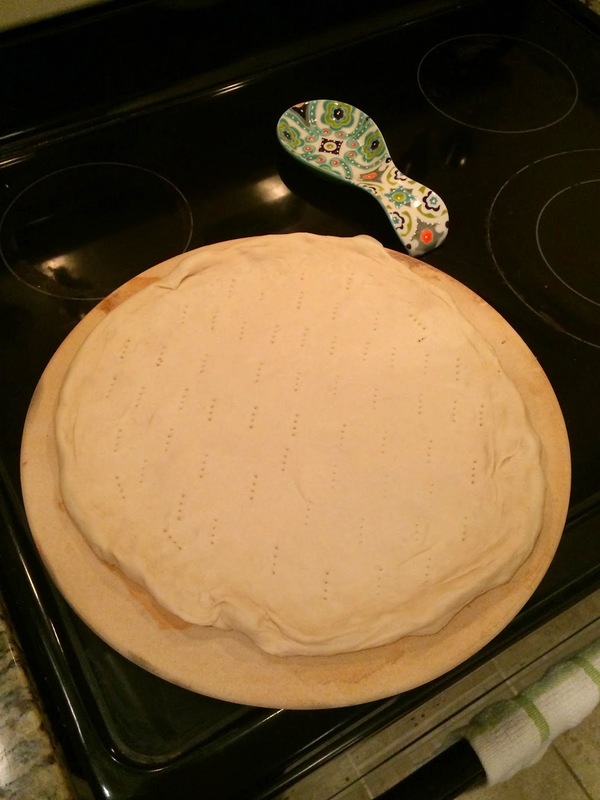 Place back in the oven for another 10-12 minutes, or until dough is golden and cheese is melted. Remove from oven and let sit for about five minutes before slicing. Enjoy! !